It's my 1st Fitness Friday post!! Yaaay! I'm excited to share the progress I have made with one of my fitness goals: running. Obviously from the title, I ran my first 5K! Woot woot!! I have always LOVED running, but as a kid who struggled with asthma, I had to give it up in high school. One too many running-induced asthma attacks + my parents equaled me having to quit the track team. But still, deep down inside, I wanted to run a marathon one day. And earlier this year, I decided I was going to start working towards it. Initially, I started out training using the Couch-to-5K program. But umm... it wasn't working well for me. I'm not sure if it was because I wasn't exactly a couch potato before I started and the pace of it was moving a little too slow for me. But I know I didn't like that it was only time-based and not distance-based. It made me wonder if I reach the final step of running 30 minutes straight, but haven't gone 3.1 miles in that time, have I actually reached my goal? Nope. So, I let that go after a few weeks and started using a run-walk-run program with distance goals. I know there are a lot of different versions of the Couch-to-5K program so it may have just been that the one I had wasn't specific enough. 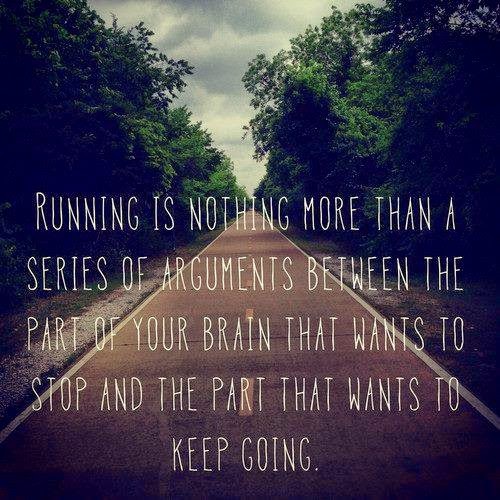 Running is all about your mindset. It's one thing I love and hate about it. I am in competition with no one but myself. And we all know that sometimes, we can be our own worst enemy. I think it's the ability to overcome the little voice in your head that wants to quit, which makes running so fulfilling. I had a made up mind that I was going to finish this race. I felt so proud when I was done! Lord knows I thought about quitting several times. I was determined to run. These two may seem like no-brainers, but when you're running they are both continually tested. It made me truly understand why Paul is always comparing the our walk with Christ to running a race. The ability and strength to withstand anything the race may throw at you is truly rewarding. I did not do much hill training and this 5K was full of them. One particular hill was a serious incline, too. But once I was done, it made me feel like I could conquer anything. A little cheesy? Yes, but I really did! It was very encouraging. I honestly feel that if I had not given my body the proper time it needed to rest, I might not have been able to run at all. Injuries can be detrimental if you're not careful with the healing process. At first I was so upset that I had to take so much time off. After my doctor confirmed that was the best thing for me to do, I felt better about my choice. I think sometimes we focus so hard on the training, that we forget the importance of listening to our bodies and letting them rest. Especially when your body wants to rest at a time you feel it should be pushing harder. I have been keeping all these things in mind as I continue training. 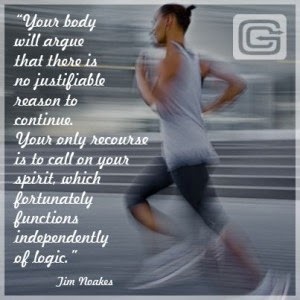 I think that anyone can train to run with the right mindset. I am set to run the Chicago Half Marathon this fall. I'm very excited about it. Ultimately, I don't know if I want to run a full marathon or not. I think running the half will help me answer that. I will make sure to keep you all posted on my running journey. Thanks for following along! 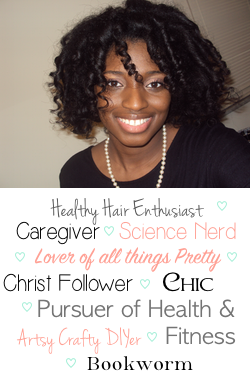 Be sure to check out other the other lovely ladies' Fitness Friday posts over at SavingOurStrands!